It finally happened! 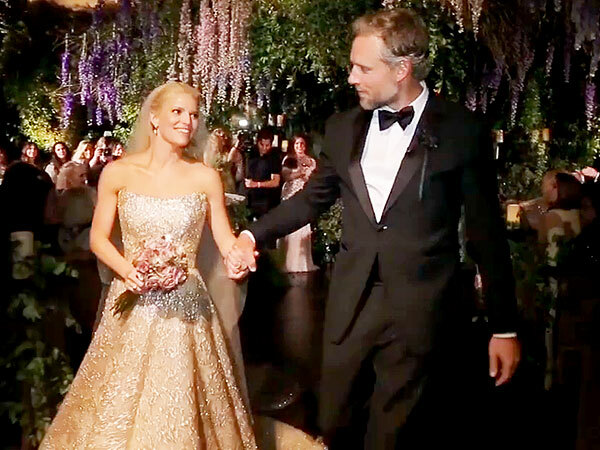 Only July 5, Jessica Simpson married long-time love and former NFL player Eric Johnson. The couple wed at the San Ysidro Ranch in Montecito, California, with more than 250 guests in attendance, including such fellow celebrities as Ashlee Simpson, Jessica Alba, Topher Grace, and CaCee Cobb. The overall estimate for the lavish four-day celebration: $1.4 million. Simpson and Johnson have been engaged since 2010 and have two children together. Daughter Maxwell served as flower girl at the festivities, while son Ace was ring bearer. The wedding was officiated by Jessica’s father, Joe, and included a whopping 12 bridesmaids and 11 groomsmen. Jessica wore a stunning champagne and gold strapless dress custom made by Carolina Herrera, with Brian Atwood shoes. Her attention to detail was apparent in all aspects of her wedding; even her manicure was custom-created to perfectly complement the dress. Her wedding flowers were absolutely breathtaking, forming a huge part of the décor. 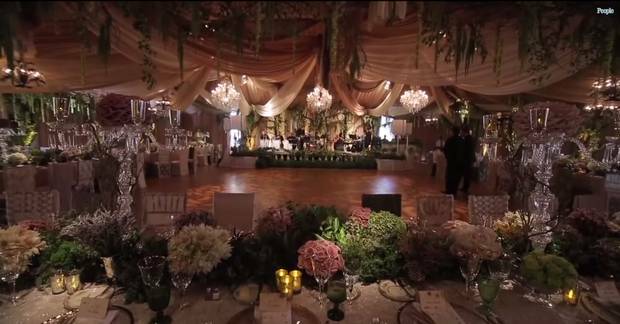 The sheer volume of flowers made the lavish venue feel regal, romantic and intimate. It’s estimated that the floral budget was $150,000! There were masses of flowers arranged down the long guest tables, including roses, hydrangeas, and freesia, in hues ranging from pale pink, to purple, fuchsia and cream. There were flowers and lush greenery hanging from trellises above guests and to frame the couple as they took their vows. The stage was draped in greenery, as were side tables. With so many exquisite flowers placed all over the ceremony and dinner venues, the overall effect was simply stunning. Now…wouldn’t you love to have this look for your own wedding? You can! Our clever consultants at BunchesDirect have put together a very special Celebrity Wedding Flower package, inspired by Jessica Simpson! This 9 piece package is being offered at the amazing price of $549.99. See it here and order yours at: http://www.bunchesdirect.com/index.php/Celebrity-Inspired-Wedding-Flower-Packages/Celebrity-Inspired-Wedding-Flowers-Jessica-Simpson/flypage.tpl.html. You can also find all the freshest, most gorgeous bulk wedding flowers to round out your own fairy-tale look. Our consultants are ready to assist you. Happy shopping!